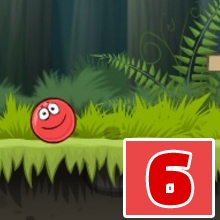 Red Ball 7 – Play Now ! 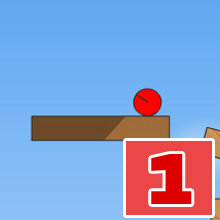 If you are a fan of physics-based online games then you should check out the Red Ball 7 game. The graphics of the game are pleasant and the music is eccentric. In this game, the Black Square is back again to show its evil powers and is terrorizing the country. 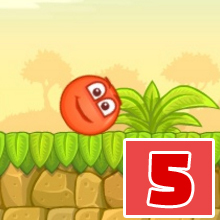 The Red Ball needs to protect everyone from the evil Black Square by defeating him. 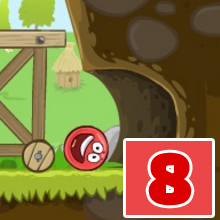 The game consists of 15 challenging levels that will keep you busy for some days. 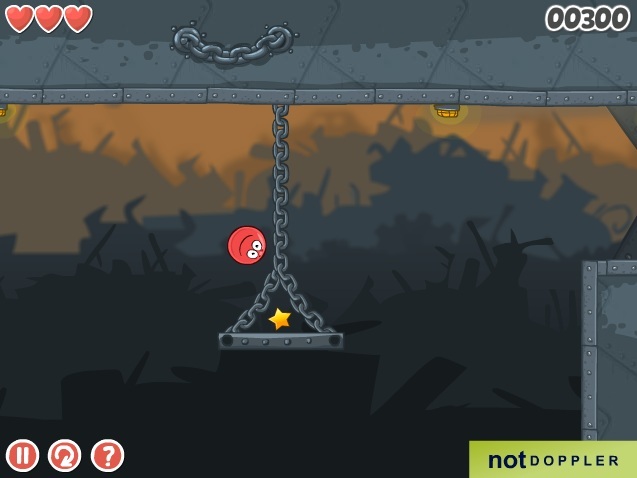 Controlling the game is straightforward as you need to make use of the WASD or the Arrow keys for moving the Red Ball. The Up, Down, Left and Right arrow keys can make the ball move to Up, Down, Left and Right side. To jump on the numerous obstacles, you need to make use of the Up and the Right arrow key. This will even make the ball jump and move forward. The physics based elements in the game make each and every level more challenging and engrossing. Anyone can play and enjoy the game as it is safe for children too. You can earn points throughout the level by killing the enemy boxes and reaching the goals, which are the Red flags in the game. 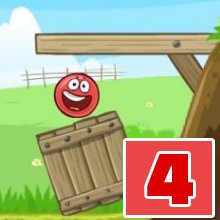 The obstacles that you come across the game are quite different than the ones you found in the previous versions of the Red Ball series. So, the laser beams and the swinging platforms are surely going to keep you hooked to your screens. The Bronze cup will provide you with 5 Bronze medals and 1000 points. The Silver cup will give you 10 Silver medals and 2000 points. The Gold cup achievement will give you 15 Gold medals and 3000 points. With the Diamond cup you will be able to collect all achievements and 5000 points. 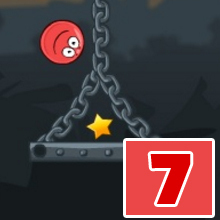 You can pass the chain-breaking trolleys on Level 12 by using the Unsafe Chain achievement. Kill the helpful enemy box on Level 14 with the Deadly Thanks achievement. The Boss Loss achievement will let you kill the boss enemy on Level 15. Die from enemy box explosion by using the Boom Box achievement. You can die from laser 5 times on a single level by making use of the Burned Down achievement. 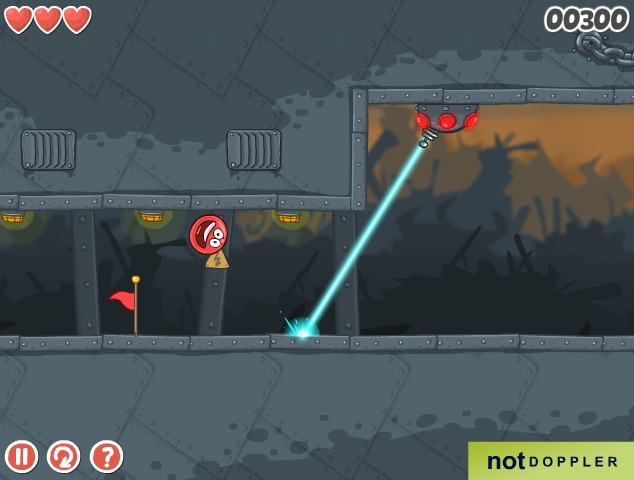 Run away from the robot box on Level 7 by using the Doodle Robot achievement. Your Red Ball can die from punch press 5 times on a single level by procuring the Mortal Blow achievement. The above-mentioned achievements and many more will make your game an interesting one. As you keep progressing in the game, you will be able to earn the Bronze, Silver and Gold medals. Also, depending on the performance of your Red Ball in each level, you will be able to earn these medals. 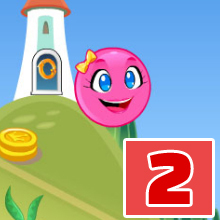 So, get ready for some amazing time while playing the Red Ball 7 online game.